We were commissioned to deliver a new Website Design for Wonderful Ireland in Dubdrum, Dublin 16. 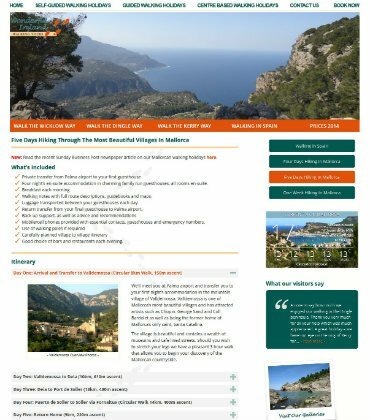 Wonderful Ireland Walking Holidays provide a range of guided and self guided walking holidays throughout Ireland and on the beautiful Spanish Island of Mallorca. Contact Us for an in-depth and no-obligation consultation on what exactly we can do for you in Website Design, SEO Services, and Digital Marketing campaigns. What comes first, e or z?